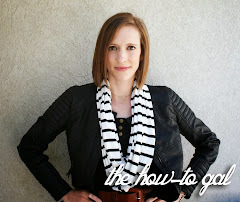 The How-To Gal: New Shabby Apple Winner! I hate it when I have a giveaway and the original winner never contacts me (or never responds to messages I send them)!!! Second time it has happened. That is why it is so important to include your email in every comment when you enter contests. So sorry :( Jen, I had to pick a new winner! But, a big congratulations to Rebecca! Rebecca, check your inbox for an email from me!